Steve Waight has lived in Worthing for over 30 years, most of that time in Goring. A graduate in Applied Biology, he has worked for a major UK food company before entering Financial Services and running his own Independent Financial Services firm prior to taking early retirement. He is married to Nicky and has two daughters who both went to school in Goring. 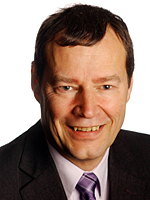 Steve was first elected to the County Council in 1995 and to Worthing Borough Council in 1992.